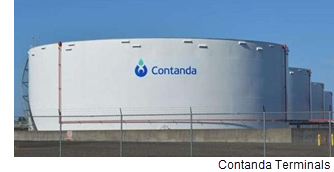 ​​ HOUSTON – Contanda Terminals will construct a large-capacity storage terminal on its property along the ship channel to support its strategic expansion into the petrochemical and hydrocarbon storage markets. The Contanda Houston Jacintoport Terminal will provide up to three million barrels of additional petrochemical and hydrocarbon storage capacity. It will be at the Contanda Steel location, which was acquired in fourth quarter 2016. The automated terminal will also provide a deep-water ship dock and two barge docks, along with truck and rail infrastructure. Construction is scheduled to begin in October 2018, and the facility is expected to be operational during fourth quarter 2019.